So today was just any normal day in ark, until i went to go get wood. I planned to take my beaver, but when i went to go get it, it was gone. I looked all over my base for it, but i never saw it. I checked the tribe log to see if it died, nope, it's still living somewhere. I hope Admin can help me find my beaver, I really liked it. Are you sure another tribe member didnt take him or another tribe kidnap him? I have watched some serious back and forth between your tribe mate and other tribes. 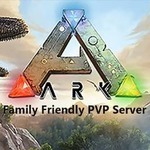 I will keep a eye out when i do my server checks but normally unless its a lost dino due to a game glitch i don't get involved with lost dinos.